Labour has accused the government of “slipping out” a damning report that raises huge concerns about the security risk posed by a government apprenticeship provider on the same day as the Brexit announcement. The cabinet office approved provider, which trained hundreds of apprentices in offices including the Department for Work and Pensions, HM Revenue and Customs and the Home Office, was slated as ‘insufficient’ across the board in an Ofsted monitoring visit published earlier today. The report found that the recruitment processes followed by Premier People Solutions Limited, which trades as Premier Partnership, were “not safe enough” and warned that leaders and managers “cannot be sure that their members of staff are safe to work in the sensitive environments”. Anne Milton, the skills minister, confirmed exclusively to FE Week earlier today that the Education and Skills Funding Agency had terminated Premier’s levy contract as a result. However, Labour has accused the government of sneaking out the report on the same day as the Brexit announcement to try and detract attention from its findings. 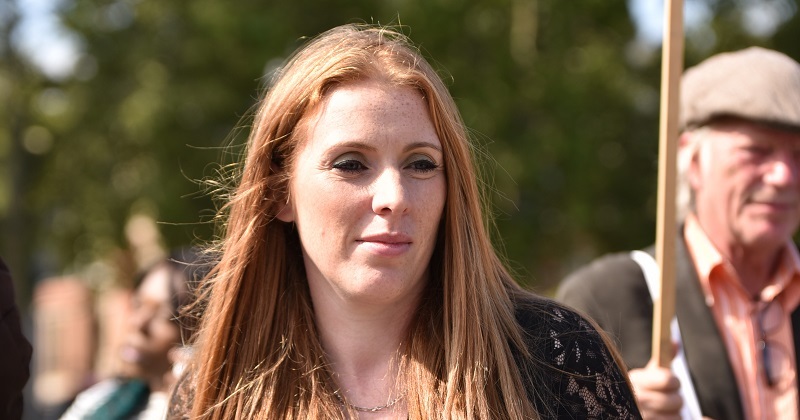 Angela Rayner, shadow secretary of state for education, said: “These revelations, slipped out on the same day as the Brexit announcement, raise serious concerns about both the Tories’ apprenticeships programme and their management of government itself. “That the government’s preferred provider of apprentices to its own departments has been found inadequate across the board is a stark reminder that they are failing to deliver high-quality apprenticeships for all those who want them. The cabinet office has confirmed that the government departments included HMRC, the DWP and the Home Office, including the UK Visas and Immigration service. When asked about the Ofsted criticisms concerning security, the spokesperson said it was for individual departments to comment and said all civil service apprentices will be able to continue their training “as normal” after the change in training provider. According to the find apprenticeship training service, Premier has been delivering apprenticeships to public sector departments for over six months. It had 686 apprentices at the time of the Ofsted visit, and all but five were on the level three public service delivery officer standard. It will now be removed from the register of apprenticeship providers. Usually when a provider is rated ‘insufficient’ after an Ofsted monitoring visit, it only receives a temporary ban on recruiting new starts until a full inspection can be carried out within a year. The Ofsted report warned that leaders and managers “do not have safe enough recruitment procedures”. “They do not hold references for too many of the trainers who they employ to work with apprentices. Leaders apply for references, but if they are not returned, they do not pursue them. In addition, they accept references that are not from the trainer’s most recent previous employer. David Pearson, managing director at Premier People Solutions, said: “Premier Partnership takes safeguarding extremely seriously and Ofsted noted that all of our team are appropriately trained, and our policies and procedures are sound and implemented.